HTC has announced plans to invest $40m (£25m) in OnLive, a company that specialises in cloud-based gaming. The move could see HTC dipping its toe firmly into the gaming waters, with handsets like the Sony Eriscson Xperia Play hoping to explode the mobile gaming market this year. HTC told us that it's very excited about the investment, and that "more news will follow next week." Could we be in line for an exciting gaming announcement from the company at Mobile World Congress? According to HTC spokesperson Maggie Cheng, the company's investment will "strengthen its gaming capabilities and help HTC tap into increasing demand for games on smartphones." We've already seen HTC move in the direction of the cloud with its HTCSense.com Mobile-Me-alike service. 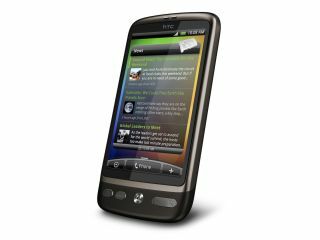 Given the company's investment in its on-handset software, it would make sense for HTC to get involved in mobile gaming which is already a huge market; plus it could help the company differentiate itself in the very-samey Windows Phone 7 market. Exciting times ahead, we hope; we'll bring you all the details next week.